Indispensible hidden steps and such detail! Paul Wade&apos;s Convict Conditioning Ultimate Bodyweight Squat Course explodes out of the cellblock to teach you in absolute detail how to progress from the ease of a simple shoulderstand squat—to the stunning "1-in-10,000" achievement of the prison-style one-leg squat. 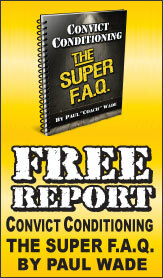 Ten progressive steps guide you to bodyweight squat mastery. Do it—and become a Bodyweight Squat Immortal. 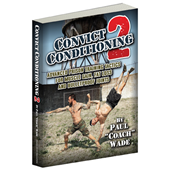 Whatever you are looking for from your bodyweight squats—be it supreme functional strength, monstrous muscle growth or explosive leg power—it&apos;s yours for the progressive taking with Convict Conditioning, Volume 2: The Ultimate Bodyweight Squat Course. 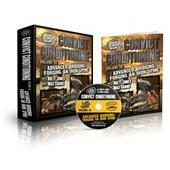 How sure are we that Convict Conditioning, Volume 2: The Ultimate Bodyweight Squat Course (DVD) will work for you? Simply fill out the form below and put Convict Conditioning, Volume 2: The Ultimate Bodyweight Squat Course (DVD) to work for you right now. 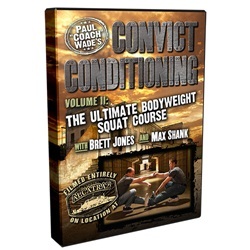 Obviously, we would go out of business if Convict Conditioning, Volume 2: The Ultimate Bodyweight Squat Course (DVD) didn't work, the way we said, right? 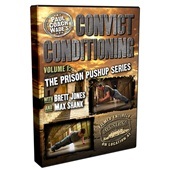 With the promise of a full refund if you're unsatisfied, you have nothing to lose by trying Convict Conditioning, Volume 2: The Ultimate Bodyweight Squat Course (DVD). Go ahead and try it today. Paul Wade adds a bonus Ten Commandments for Perfect Bodyweight Squats—which is worth the price of admission alone. And there’s the additional bonus of 5 major Variant drills to add explosivity, fun and super-strength to your core practice.